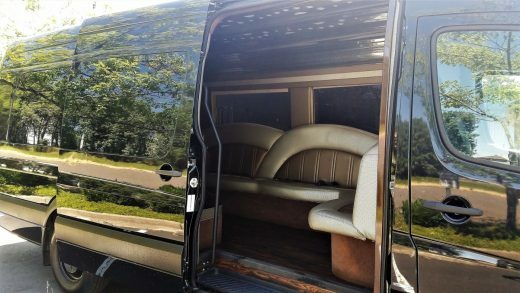 Meet the newest, nicest, most plush Mercedes Benz Sprinter limo in Oregon! 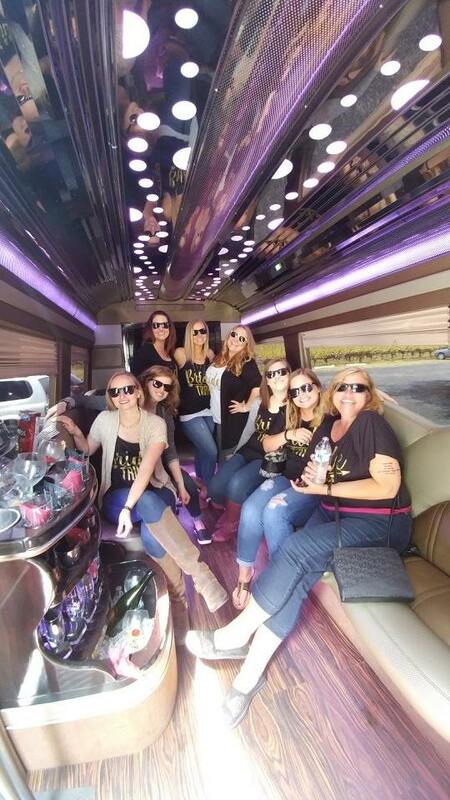 Our 14 passenger Mercedes Benz Sprinter limo is simply the best. Manufactured by Executive Coach Builders this one has it all. Stainless steel color wrap ceiling, cutting edge electronics suite with fantastic sound system including multiple sub woofers, 2 flat panel TVs, comfy perimeter seating, and lots of room to move around make this a great choice for any occasion. Lots of cargo room in the back for airport transfers, Bandon Dunes golf trips or storing wine on an Oregon wine tour. Sprinter limos are the latest trend in limousines, having become very popular in big cities and with celebrities. Now you can have one in Eugene! Non smoking $190 for a single hour, $135 per hour for 2 hours (consecutive) or more. Eugene Airport ground transportation rates are $190 plus tip and fuel for local airport drop offs, and $200 plus tip and fuel for Eugene Airport pick ups. These prices include all all Eugene Airport ground transportation fees. Portland Airport/Eugene transfers are $400 plus tip and fuel for drop offs, and $425 plus tip and fuel for Portland airport pick ups. These prices include all Portland Airport ground transportation fees. 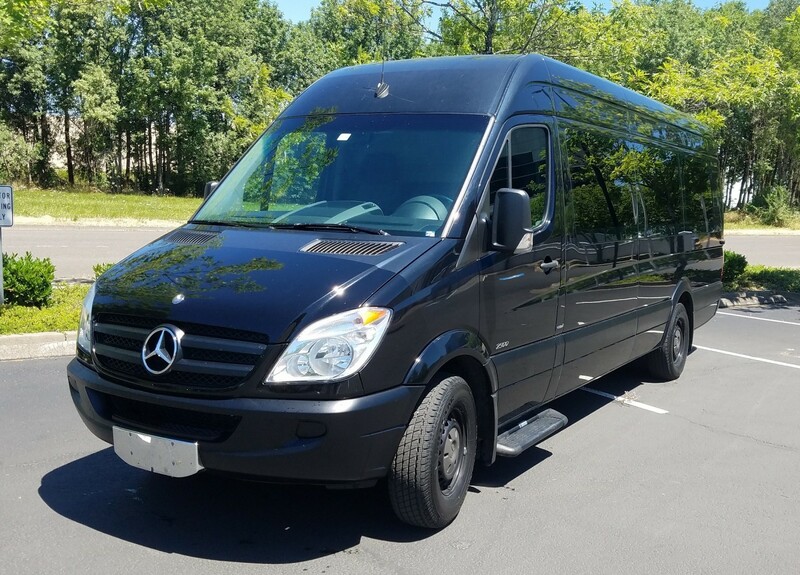 Watch our YouTube video of our 2017 14 passenger Mercedes Benz Sprinter limo! All limousine and Party Bus reservations include complimentary bottled water and soft drinks along with lots of ice. All limos and Party Buses are non smoking. 20% driver’s gratuity and 7% fuel surcharge will be added to all reservations.